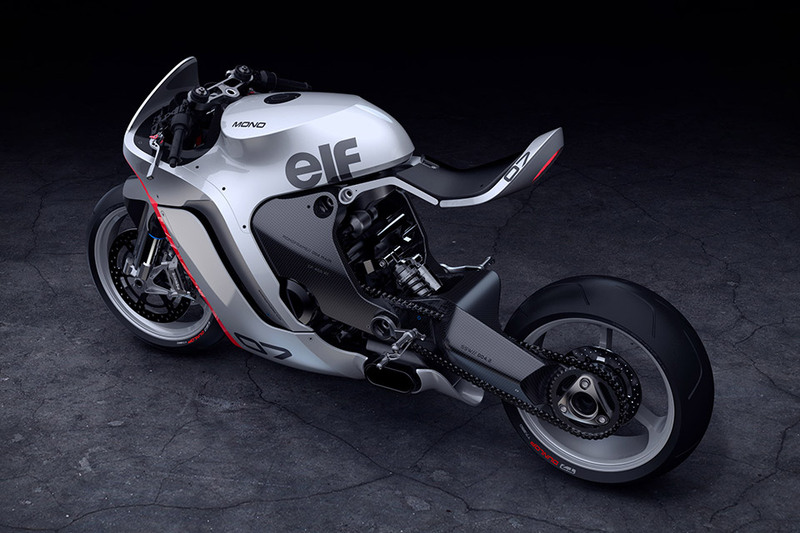 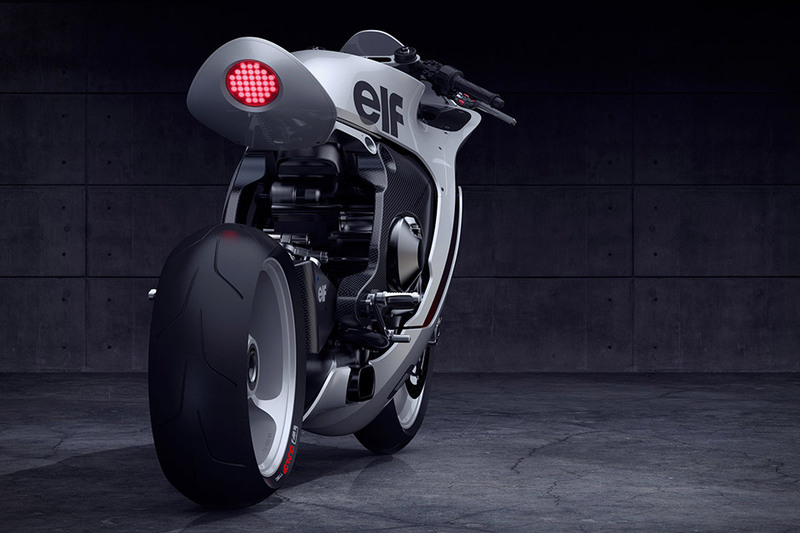 Based around a 1,000cc Honda inline four-cylinder engine, this Huge Moto Mono Racr Motorcycle was created from the inside out with an eye towards purposeful design. 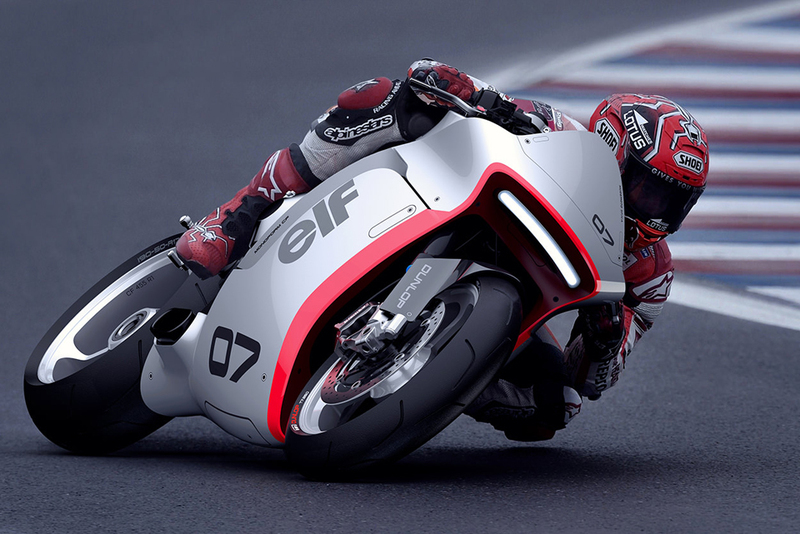 As a result, it lacks the loud graphics and unnecessarily harsh angles of some of its contemporaries, instead opting for an aero-driven, sleek shape. 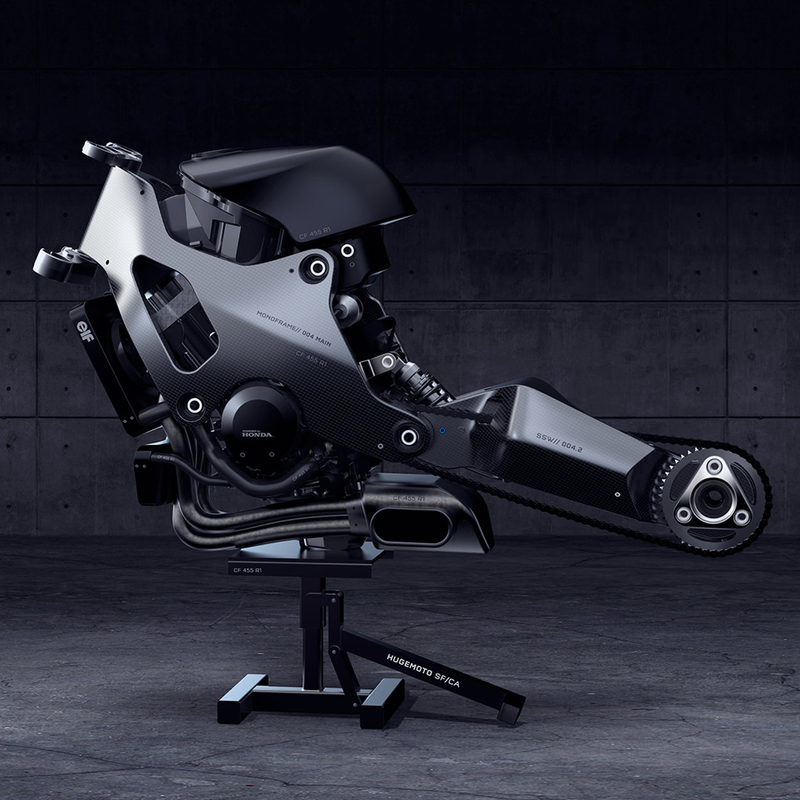 The mainframe and swing arm are made from a single piece of carbon fiber, reducing the weight and improving performance. 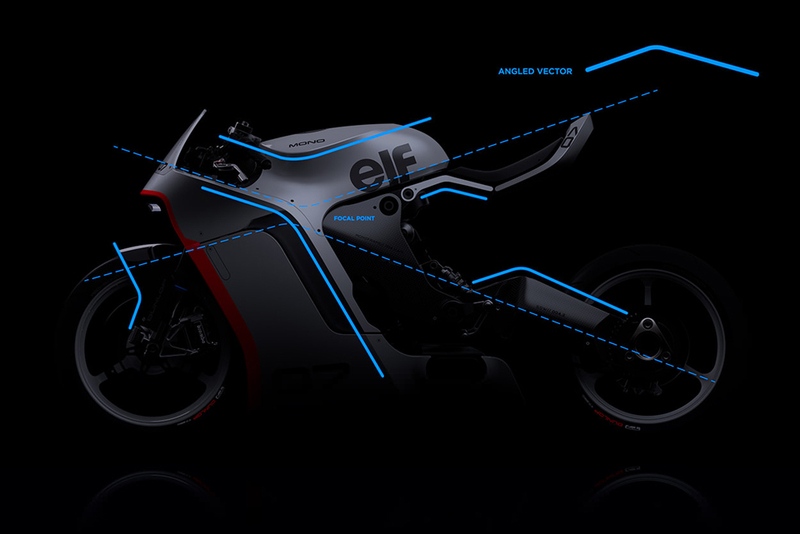 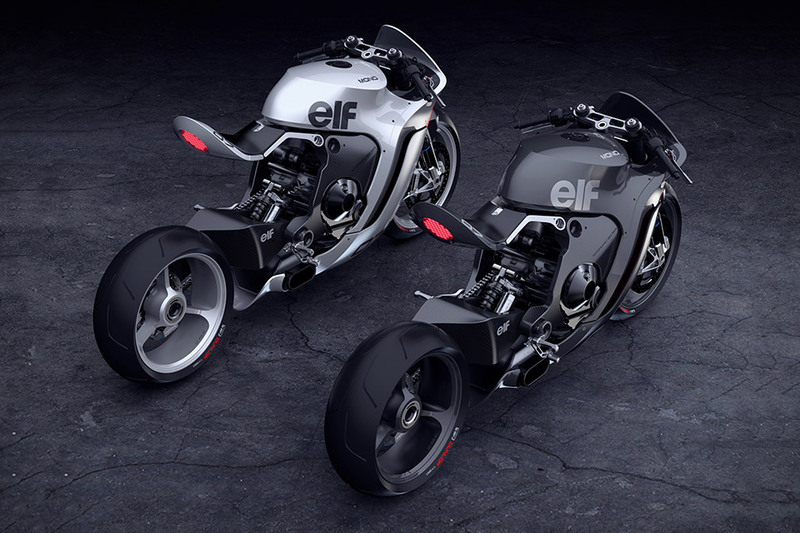 Although it’s still just a concept, the company is actively exploring fabrication options. 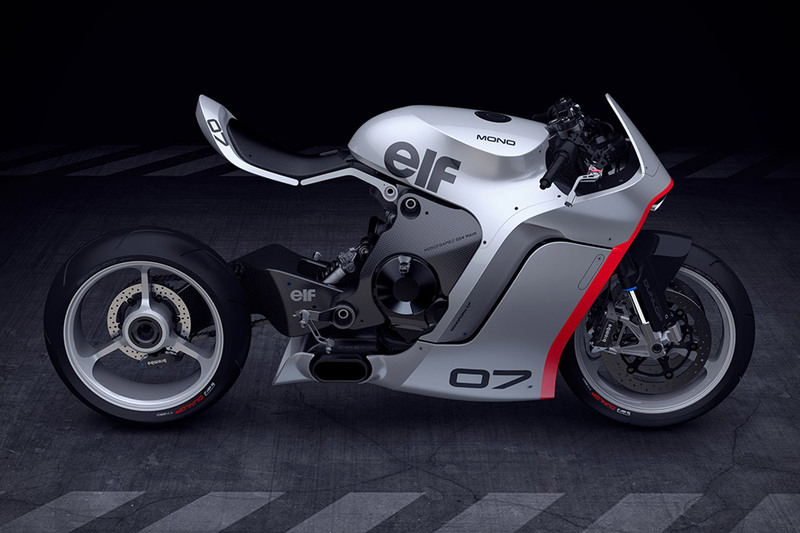 And don’t forget to check TOP 10 World’s Fastest Motorcycles.